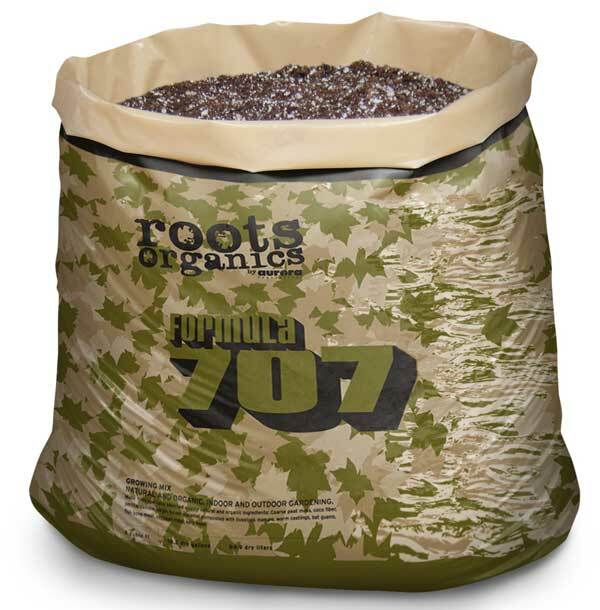 Formula 707 was created for a special kind of gardener: one who wants to control their own destiny. It is different from the other potting mixes created by Aurora Innovations. It was designed with greater water holding capacity, less perlite and pumice, and specific ingredients for large container gardening. In fact, the bag itself is a 30-gallon grow bag containing just less than 20 gallons of the finest quality potting mix. Made from only the finest ingredients, coarse peat, coco fiber, compost, perlite, pumice, worm castings, bat guano, fish bone meal, soybean meal, feather meal, kelp meal and much more.